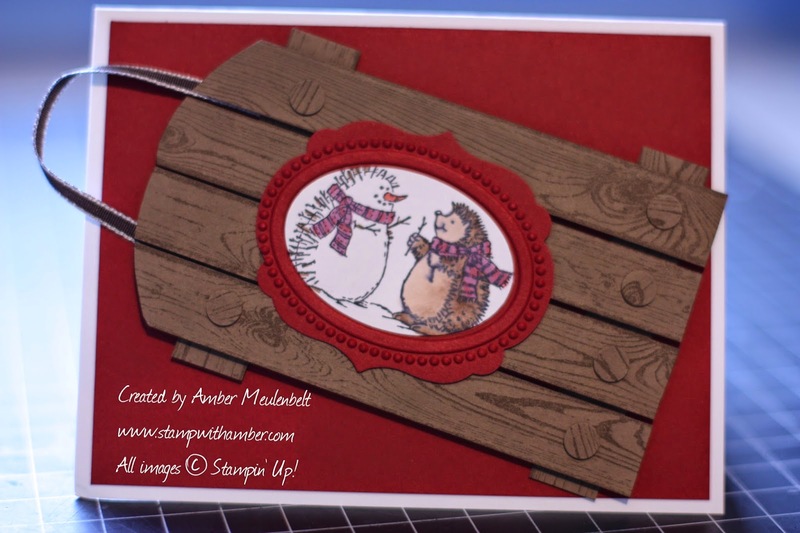 This cute sled was made with the Hardwood background stamp and inspired by this card made by Candee. I love the hedgehogs from last year's Best of Winter stamp set! I love this! The sled is amazing!